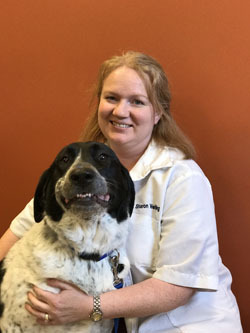 The Downers Grove Animal Hospital staff includes 4 Veterinarians, 2 Certified Veterinary Technicians, veterinary assistants, pet groomer and our office manager. Dr. Merkin has lived in Downers Grove for over 50 years. His special professional interests include oral and soft tissue surgery and the care of geriatric patients. 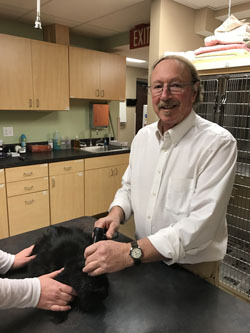 Dr. Merkin shared his life with two cats that lived past 20 years old and is passionate about the special needs of geriatric patients and their quality of life. Read more about Dr. Robert Merkin. 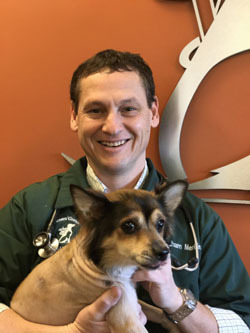 Dr. Merkin grew up in Downers Grove and currently resides with his family in Westmont, IL. His special professional interests include ultrasonography and surgery. Read more about Dr. Graham Merkin. 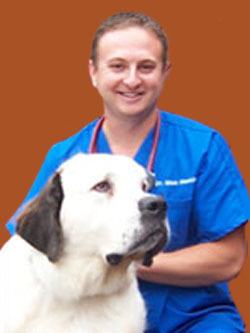 Dr. Merkin grew up in Downers Grove, IL and currently resides in Westmont, IL. His special professional interests include internal medicine and surgery. Read more about Dr. Max Merkin. Dr. Wehling currently resides in Bolingbrook, IL. Her professional interests include internal medicine, neurology, and pain management. Read more about Dr. Sharon Wehling. 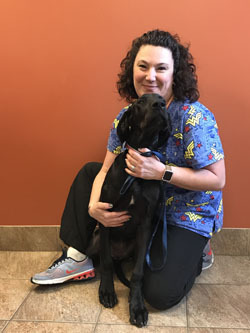 The staff at Downers Grove Animal Hospital is dedicated to doing whatever it takes to provide your pet with the best care possible. 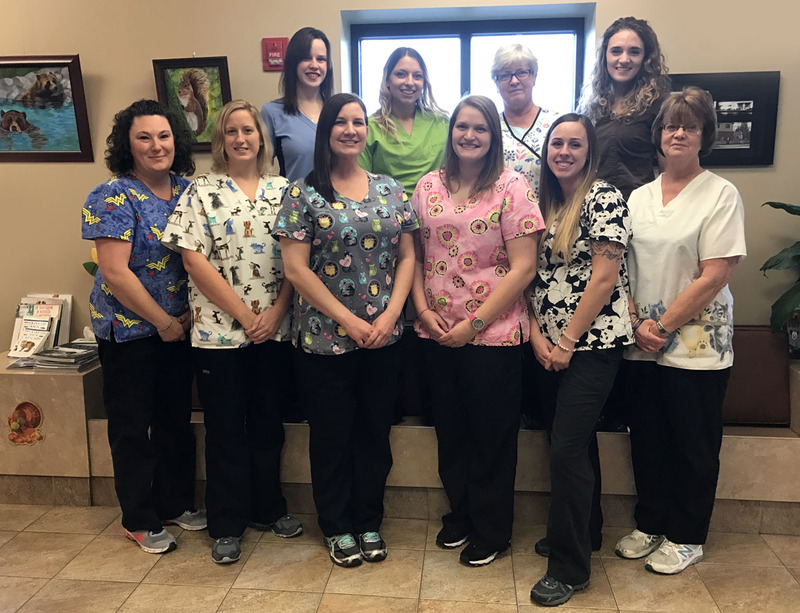 Our Veterinary Technicians and Assistants perform a variety of office and reception duties, but behind the scenes, these are the people that serve as your animal’s “nurses”. Among their responsibilities are running laboratory tests, administering treatments, or assisting with medical and/or surgical procedures. 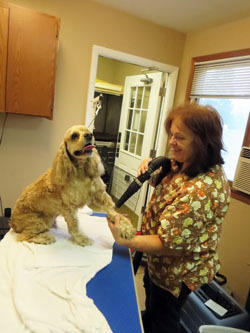 Cheri Dye has been a professional groomer for over 30 years. 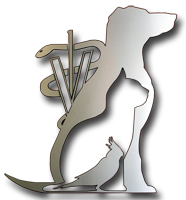 She is very knowledgeable and has experience grooming all breeds of dogs and cats. She owns and breeds Doberman Pinschers and also has an adorable French Bulldog. Cheri is available Monday and Thursday for all your grooming needs. Please call to schedule an appointment or to speak with her directly. 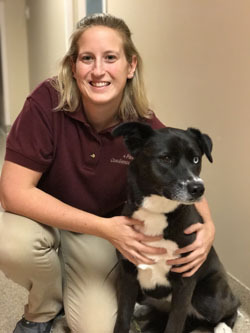 Meghan Skalak is our Animal Behavior Certified Dog Trainer (ABCDT). She was certified through Animal Behavior College and is an approved evaluator for the American Kennel Club (AKC) Canine Good Citizen (CGC) program. Meghan offers group obedience classes for you and your dog and will help you use positive reinforcement to shape your dog’s skills. We limit the amount of dogs in each class to give you and your dog a more personalized experience. Call 630.968.2812 today to find the class that is right for you!